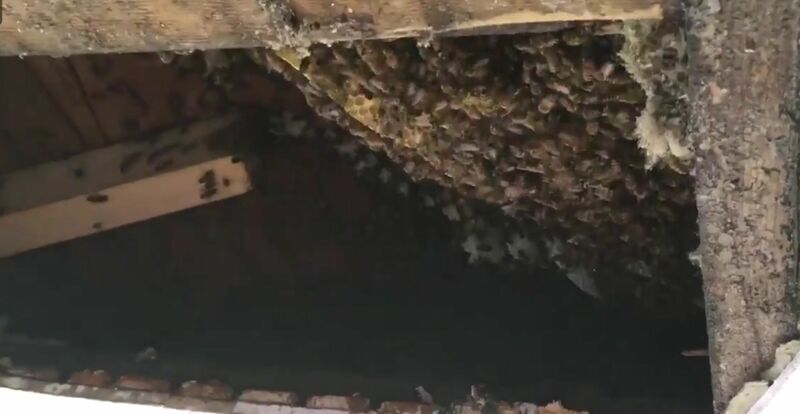 Woman Finds 40,000 Bees In Her House! The CBC’s Carolyn Stokes originally believed she had a wasp nest in her house, instead she made a big discovery on the top floor of her house — an entire colony of precious honey bees! Thank goodness I tweeted that video! Now I know they’re gentle honey bees, not vicious wasps!! Thanks to everyone who corrected me. The bees will be safely removed by the experts @adelaideshoney. It’ll be a bit of a job, but worth the effort to save the precious pollinators.